My Serial Book: What's Next? I will be revamping the myserialbook.com page within the next week or two to prepare for Book 2 in the American Castle Mystery series. In the meantime, while you're waiting to see what the next installment will be, I have officially launched on Amazon the first book in the series. 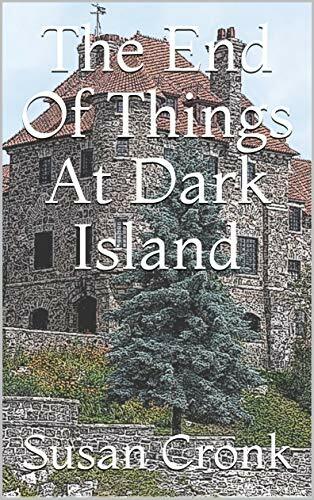 The e-book version of The End Of Things At Dark Island is available for purchase, and the print version should become available within a few days. So, you have time to do a bit of reading. If you would like to chat with me about the book, I have set up a YouTube channel. Just click on the "Discussion" tab. No spoilers, please! You can also subscribe (no fees) to the channel. Don't forget to click the "bell" icon next to the subscribe button so that you can be alerted to new posts on that channel page. Well, I'm off to plan Howard and Effie's next mystery, and do a little plotting with the main protagonist. By the way, was the mystery totally solved in Book 1? Was it? Enjoy the story. When a novel is available for subscription, a PayPal "Buy Now" button will appear here and remain active for twenty-four (24) hours. Serialized fiction in this age just makes sense. Readers like having instant, or near-instant, electronic access to the content they enjoy. Serialized fiction delivered by way of apps, online blogs, e-readers, and email, fills that need. I hope you will take time to explore this blog. It is the launch site for my latest serialized novel. If you're interested in receiving chapters of Myserialbook's current work via your email, click the button above and join in the fun, intrigue, mystery, or suspense, whatever happens to be going on at the time. The "Buy Now" button will be active for a 24-hour period on the day of the launch. Serialized subscriptions are limited to 500 per book. Will you become one of the MSB500? Page sponsors are always welcome. I do not sign up for affiliate programs, but if you would like to help sponsor this blog with a small monthly donation, let's talk. I do reserve the right to decline any offer. Goal: To provide specific content of interest to the readers of this blog.